This tough, secure, 55-gallon Drum Kit UN specifications and easily handles medium sized oil and water based spills. Absorbents will handle virtually any fluid including some aggressive chemicals. Prove you’re prepared for any spill and have what it takes to tackle the entire clean-up process from containment and absorption to disposal. 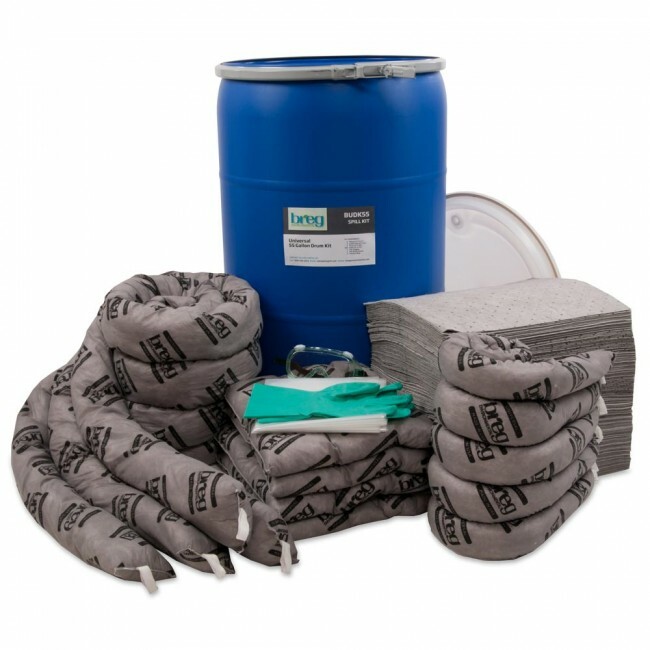 Place this kit strategically near spill prone areas, fluid storage areas or in fuel islands and avoid time consuming clean-up and expensive fines.